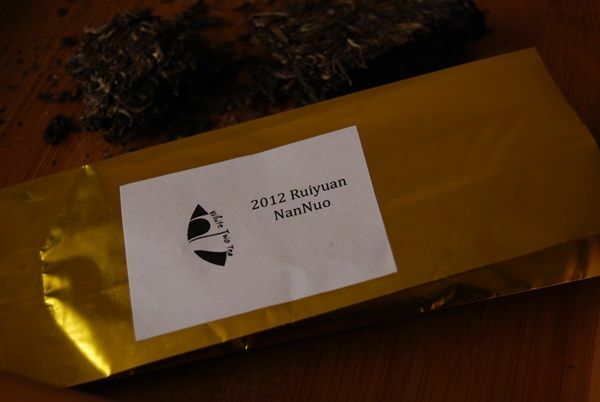 The Half-Dipper: 2012 Ruiyuan "Laoshucha"
Twodog2 (proprietor of white2tea.com) is the Captain Ahab of hunting bargains. I believe he was engaged in a tremendous battle with a bargain at a young age, and it took one of his limbs. He now sails the high seas hunting bargains, trying to find that single, monstrous bargain that so deformed him. It is a mad quest, in which he must surely perish. Let's get onboard his Pequod. Ruiyuan is a label of cakes produced by apparent teachum of twodog2's, one Ma Yongwang. The label simply states "LAOSHUCHA", in a defiant "get over it" manner. Twodog2 writes that Mr. Ma is a straight-shooting individual, who will quickly tell you which of his cakes are made from taidicha [tabletop-tea, or plantation tea]. The web-site description for this cake is filled with all manner of "here there be dragons" warnings. Such things merely act to stoke my own desire for conflict, man vs. tea, out on the roiling waves, seaspray heavy in the air, the roaring of the maelstrom at once calming and terrifying. Bear in mind that this a Nannuoshan cake, which is an area usually synonymous with bluebells, tulips, lace doilies, and other feminities. Can this ladyregion really generate something worthy of such combatative rhetoric? Such was my reaction to this first infusion, which was surprisingly potent. 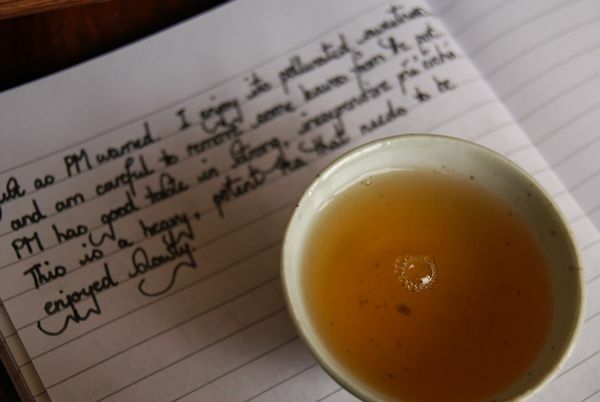 It has pollen, it has buttery sweetness of young shengpu, it has all manner of floral notes, but it also fights back, refusing to be taken captive by the likes of me. This seems to be a recurring theme lately. Blubbing like a schoolgirl, I hoist up my petticoats and meet the beast straight on. Admittedly, I removed quite a few leaves from the pot before meeting it straight on, but that's beside the point. 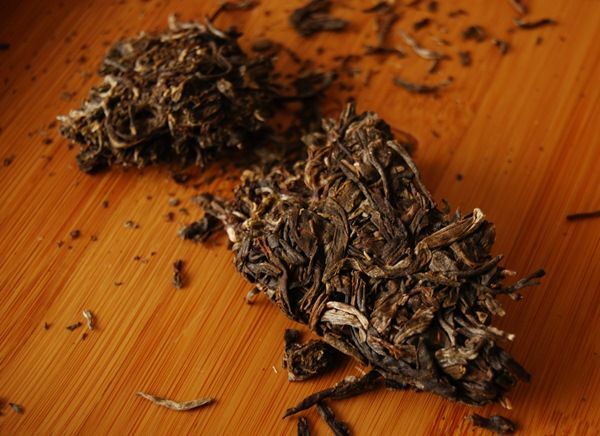 The huigan, which often goes hand-in-hand with positive kuwei [decent throaty bitterness], is prominent and enjoyable. The texture is fat, like your matriarchal figure, and just as delicious. I found myself thinking the unthinkable: here was a Nannuoshan cake that it was OK to like. I exaggerate. The quiet leaves pictured above look full of menace and devilry. Consider, next, that this cake costs something like thirty Amurcan bucks. Tell me, what can you get for such a sum these days? Can you buy such fatness, such potency, combined with such enduring throatiness? You would be hard-pressed to do so. year old Nannuo. 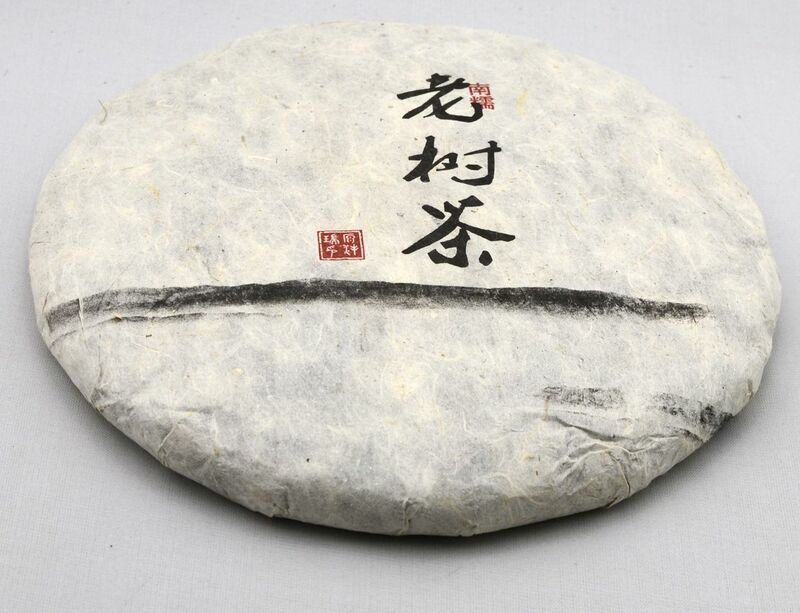 It still has a very healthy kuwei for tea stored in Taiwan for nine years. I imagine that the Wysteria tea is decent, given its pedigree! I enjoyed your analogies! I am not sure how flattering it is to be compared to a mad sea captain. Though, I did find the comparison flattering for some reason. Hopefully I will not drag my crew to a briny demise. I will be sure to let you know if I find the whale who maimed me. I suspect it may have been the Junkyfactory 2004/5 cake, coming soon! 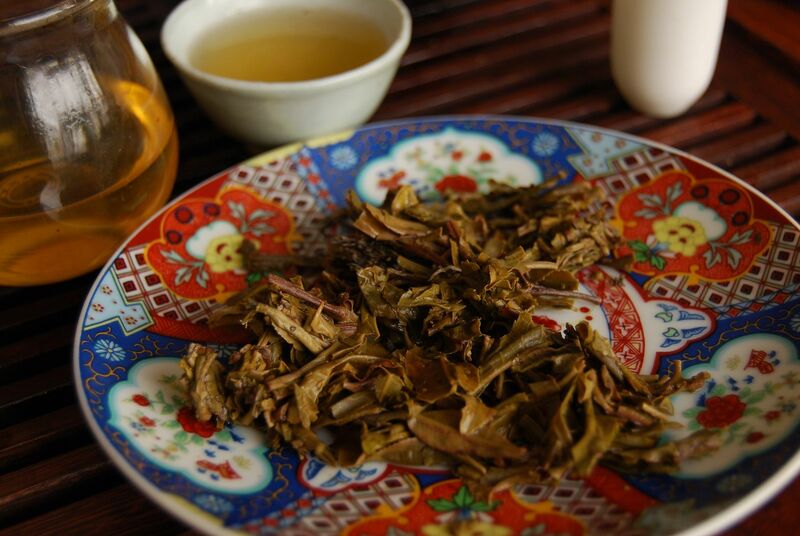 2012 White2Tea / Taochaju "Giant Steps"